08.02.2014 VS Cankaya Bel. Anka Spor K.
10.02.2014 - ROUND REVIEW: Although TSV Bayer 04 Leverkusen played both their Last 16 matches in Slovakia, away goals still secured their quarter-final berth against Michalovce. 07.02.2014 - ROUND PREVIEW: Even a seven goal lead does not make Team Esbjerg feel sure about their quarter-final berth ahead of their home game against Banik Most. 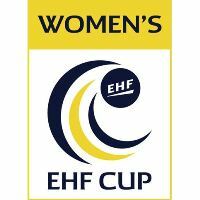 03.02.2014 - ROUND REVIEW: Two Russian teams already in the quarter-finals of the Women's EHF Cup with a few more close to following them. CZE DHK Banik Most DEN Kobenhavn Handbold DEN Team Esbjerg ESP Elche C.F.-Mustang ESP Rocasa Ace Gran Canaria GER Frisch Auf Göppingen GER TSV Bayer 04 Leverkusen HUN Fehérvár KC HUN Ipress Center-Vac ROU U Jolidon Cluj RUS Astrakhanochka RUS Dinamo Volgograd RUS Lada SVK IUVENTA Michalovce SWE Skuru IK TUR Cankaya Bel. Anka Spor K.